If the U.S. is supposed to be a representative democracy, when did this county go from voters picking their representatives to politicians picking their voters? Congressional district gerrymandering has an ongoing effect on communities throughout Northeast Ohio, many of which have been split awkwardly in an effort to build voter blocks within specific communities. 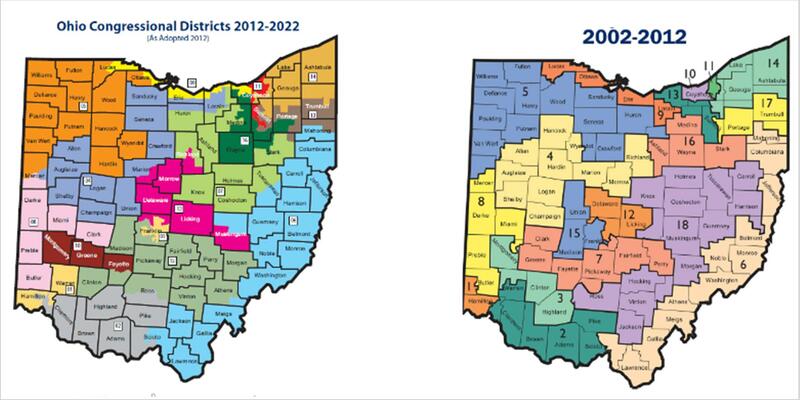 From Dec. 18 through Dec. 22, WKSU News examines the practice of gerrymandering - its past, present and possible future. Stories air daily during Morning Edition and will be posted on WKSU.org and on Facebook.